Excellent types of Roofing Services and Roofing Types Vancouver has to offer. Need help fixing, replacing, or installing your roof? Our team of experienced and trustworthy professional roofers are happy to help and guaranteed to provide service you can count on. We only use top quality materials and guarantee client satisfaction with a 200% money back guarantee. We offer a wide range of roofing services for both residential and commercial clients in the Greater Vancouver area. No matter what type of roof you have, we can help you restore its beauty and structural integrity using different types of roofing materials. At Roofing Vancouver BC, we specialise in the installation, repair, replacement, and maintenance of composition roofs. Composition shingles are common in both residential and commercial roofs. This type of roofing is fire-resistant, water-resistant, affordable, and widely available. At Roofing Vancouver BC, we have been installing, repairing, inspecting, replacing, and cleaning low sloped roofs for decades. Low sloped roofs are often found in hotels, hospitals, warehouses, factories, and other commercial and industrial buildings. This type of roof can stand up to strong wind, intense heat, and freeze-thaw cycles. Flat roofs are valued for their being more affordable than pitched roofs, being resistant to rips and punctures, and for offering easier access to homeowners and roofing professionals. We provide flat roofing services for both commercial and residential buildings. Wood roofs are a popular choice because of their natural beauty and rustic charm. Wood roofs are also eco-friendly and energy-saving. Our roofing experts at Roofing Vancouver BC have been installing and maintaining wood roofs for years. 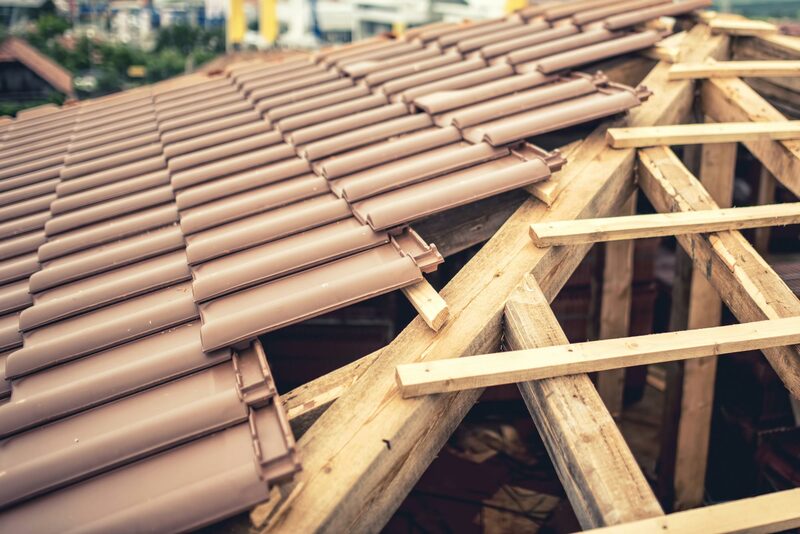 Tile roofs are easy to install, long-lasting, and durable. They’re a great option for seaside homes, as the material stands up well to the salt air. We’ve been installing, repairing, and restoring tile roofs all over the Greater Vancouver area for over a decade. Metal roofs are low-maintenance, affordable, and come in many colours and styles, as well as different types of roofing metal. Whether you need your metal roof cleaned, replaced, or repaired, our professional roofers at Roofing Vancouver BC are up to the task. Asphalt shingles are cost-effective, easy to install, resistant to water and fire, and require less upkeep than other types of roofing. At Roofing Vancouver BC, our team of expert roofers have extensive experience working with different types of asphalt roofs and different types of roofing shingles. Slate roofs are gorgeous, durable, and environmentally friendly. Your slate roof is a major investment that you can trust Roofing Vancouver BC to take good care of. Roofing Vancouver BC has the expertise and experience required to solve your roofing problems. But before you spend a dime on roof repairs or replacements, we offer you a chance to test our services. As one of the highest rated roofing contractors in the Greater Vancouver area, we offer each client the assurance that all our roofers are highly trained and have undergone background checks. Each member of our team has had extensive safety training and are equipped with the necessary safety gear for various types of roofing work.